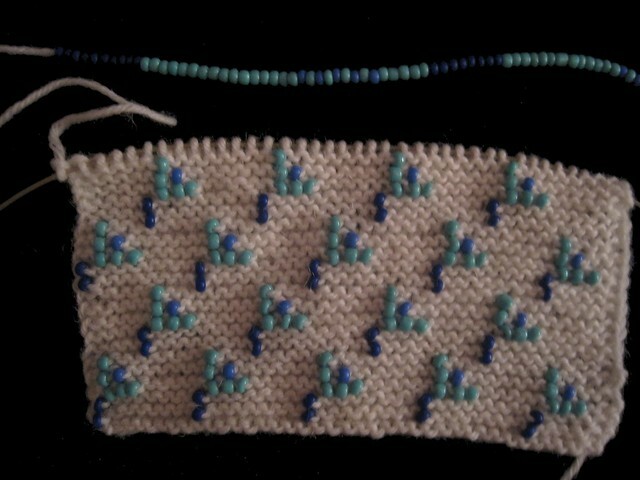 This pattern comes from Jane Austin Knits 2011. But I am changing it a lot I have reversed the order of the beads and made them blue and larger. 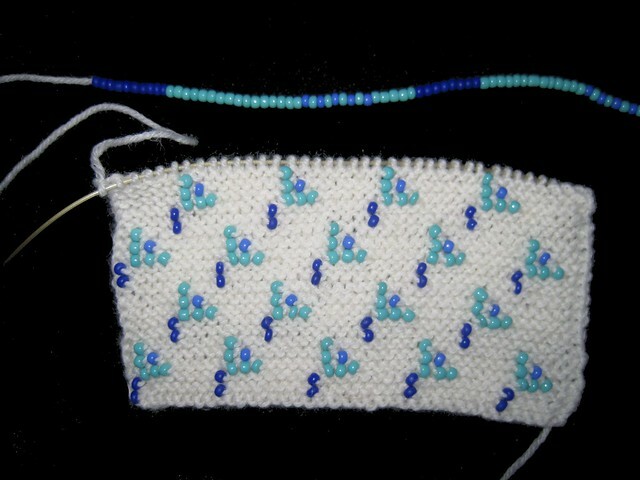 I have also changed it so the lace is made separtly as I want it in a different color than cuff, light blue. We will see if all my modifications work out how they do in my head. I also may add a cuff of lace not just at the fingers.